I am trying to find 1992 State Department Consular records should be here under 59.2.2 (see https://www.archives.gov/research/guide-fed-records/groups/059.html) but I do not see them listed. The site says it has not been updated since 2016 so perhaps the records were received after the site was updated? Are 1992 Consular records from State Department there at NARA? 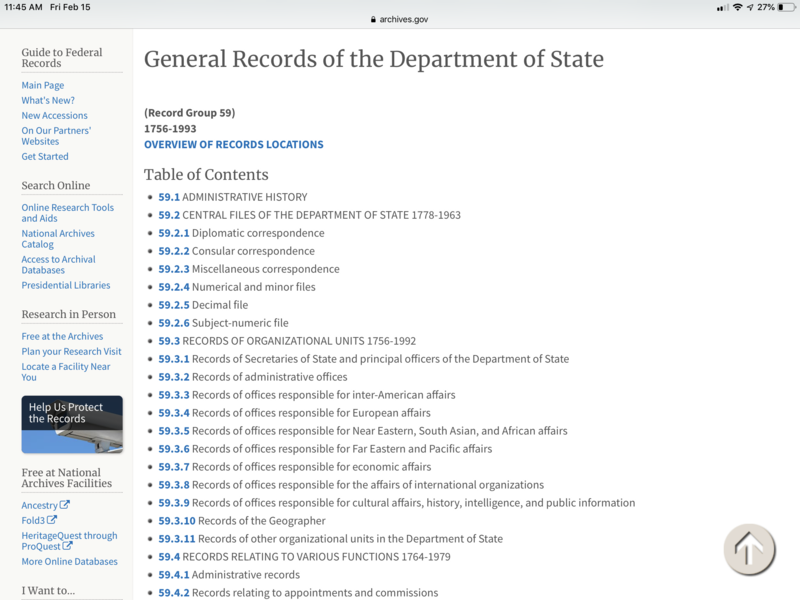 The consulate records of the State Department in the custody of the National Archives are usually located in two Record Groups -- General Records of the Department of State (Record Group 59) and Records of the Foreign Service Posts of the Department of State (Record Group 84). According to the National Archives Catalog, there are two series in RG 84 and one series in RG 59 that contain documents about consulates from the early 1990s. The remaining records for that time period are still in the custody of the State Department. Please contact them directly for further information or request the records via FOIA at https://foia.state.gov/request/foia.aspx. Thanks so much for responding. Can you please recommend the Archives update their information on where this information is held? is not correct. The site says consular records that date back to 1993 are available. I drove to both Archivea locations in Maryland which was 70 miles driving. The website below has no5 been updated since 2016. 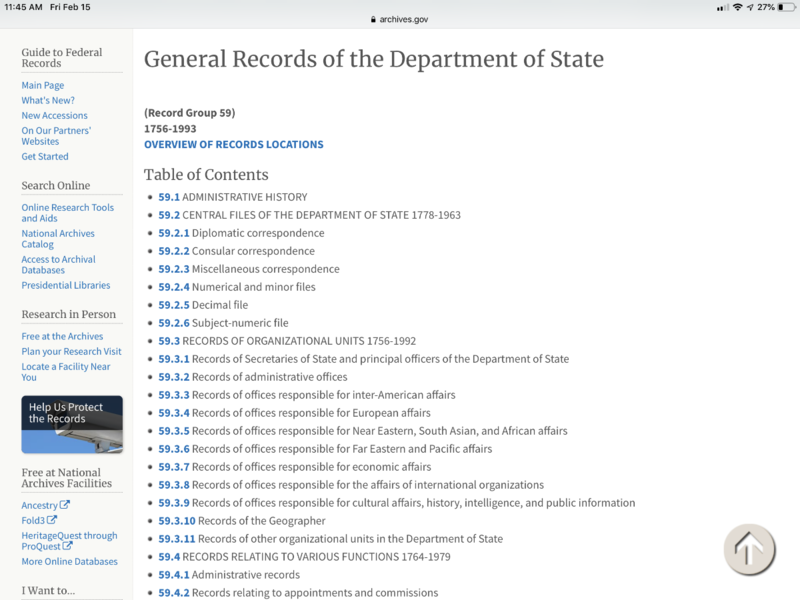 It should clearly state that no, the records of the Department of State are not available to 1993. This will prevent other people from wasting so much time like I did looking for records that are clearly not available as the website falsely indicates.